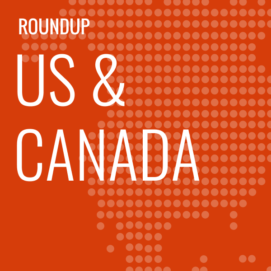 ExchangeWire rounds up some of the biggest stories in the US/Canadian digital advertising space. In this week’s edition: AerServ acquired by InMobi; Swrve and Segment partner; Phoenix Marketing acquires TV Brand Effect assets from Nielsen; Bombora builds data cooperative; and Leaders from MediaMath and Undertone create VC fund. 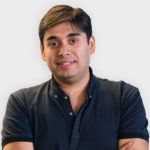 Mobile advertising platform, InMobi, has acquired video platform for mobile publishers, AerServ, for USD$90m (£65.3m) in cash and stock, to enhance monetisation for publishers globally, and further enhance the InMobi Exchange. This acquisition will help InMobi’s video and programmatic business to account for 35% of the overall company revenue; and the InMobi Exchange will have increased scale as AerSErv runs more than 90 billion ad opportunities each month and provides access to brand programmatic demand to over 2,000 mobile apps. Customer interaction engine, Swrve, has partnered with customer data platform, Segment, to provide new levels of consumer behaviour insight on emerging platforms like native mobile and OTT, as well as enabling Swrve customers to build multichannel campaigns based on data from Segment’s data sources. Including data from customer touchpoints and sources, like Salesforce, Zendesk and Stripe, as well as internal functions like CRM and inventory, campaigns can be based on more insight and, also, campaigns being delivered by legacy channels can be targeted on real-time information for mobile, OTT and other interactions collected by Swrve. 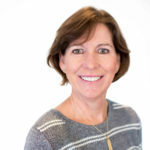 Advertising and brand specialist, Phoenix Marketing International (PMI), has acquired Nielsen’s TV Brand Effect (TVBE) assets, which provide tracking capabilities to measure memorability and quality of advertising campaigns, expanding Phoenix’s presence in the media and consumer packaged goods sectors. B2B intent data provider, Bombora, has created a B2B data cooperative with founding members Quinstreet, Purch, 1105 Media, Business Insider, and SourceMedia, to leverage scalable data resources and develop their own products to better monetise and engage their audience on behalf of B2B marketers. Publishers, marketers, agencies, technology providers, research firms and events firms that join Bombora’s co-op will have direct access to a pooled data set that details business firmographic and buyer intent across the B2B web at scale. In return, privacy-compliant and brand-anonymous visitor consumption data will be contributed by each member. Consumption habits of 2.8 million companies will be monitored by the co-op, with data pooled from almost 4,000 websites and 32 billion monthly content consumption events. “When it comes to finding new revenue opportunities, data is a publisher’s best asset. This is especially true in the B2B space, where connecting site visitors with their place of employment greatly increases the value of the audience. The goal of the co-op is for publishers to pool behavioural data to better understand their audiences and which companies are more likely to be in-market. 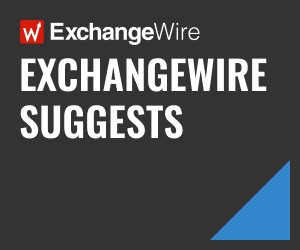 This then enables them to package those segments for B2B advertisers to drive better business outcomes”, Steve Lilly, co-founder and SVP global data partnerships, Bombora, tells ExchangeWire. 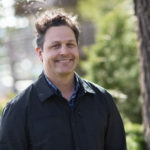 Industry leaders Joe Zawadzki, CEO of MediaMath, and Eric Franchi, co-founder and former executive at Undertone, have combined forces to partner and create a venture capital fund called ‘MathCapital‘, to support the next generation of marketing and advertising technology leaders. MathCapital’s mission is to fund and support the entrepreneurs and companies that are driving digital transformation across a digital marketing landscape that represents USD$230bn (£167bn) in spend, marketing expenditures that exceed USD$1.5tn (£1.09tn) annually, and the continued growth of consumers who spend time and consume content and make decisions via digital devices. MathCapital will partner closely with MediaMath, and their portfolio companies will have access to MediaMath’s 4,500+ advertisers, 350+ partners, and in-house business and marketing expertise. MathCapital’s areas of interest include: applications of machine learning and artificial intelligence to marketing, measurement and analytics to connect marketing with outcomes, consumer advocacy, notice and consent solutions, and new forms of digital connections including augmented reality, virtual reality, and audio- and voice-based interaction.